A significant European collection of 16 Italian motorcycles is a highlight of the Spring Stafford Sale on April 23, 2017, that should whet the appetite of any collector. Bonhams Motorcycle Department secured the bikes for the Spring Stafford Sale from one collector with a passion for Italian brands such as MV Agusta and Ducati. 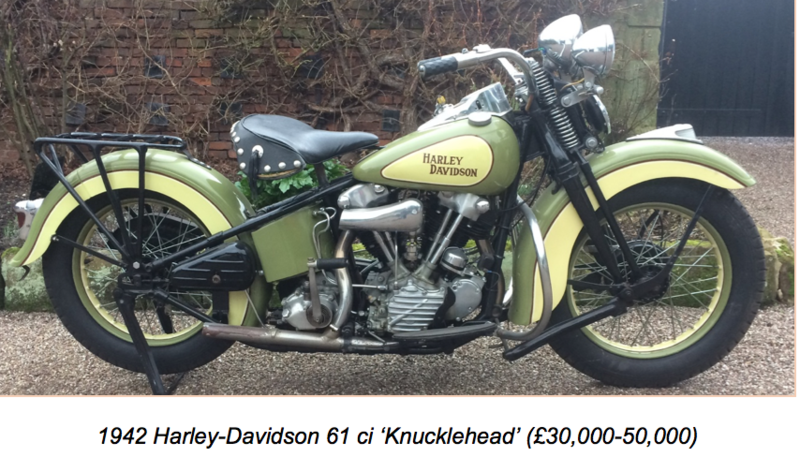 The sale will be held at the 37th Carole Nash International Classic MotorCycle Show in the UK. 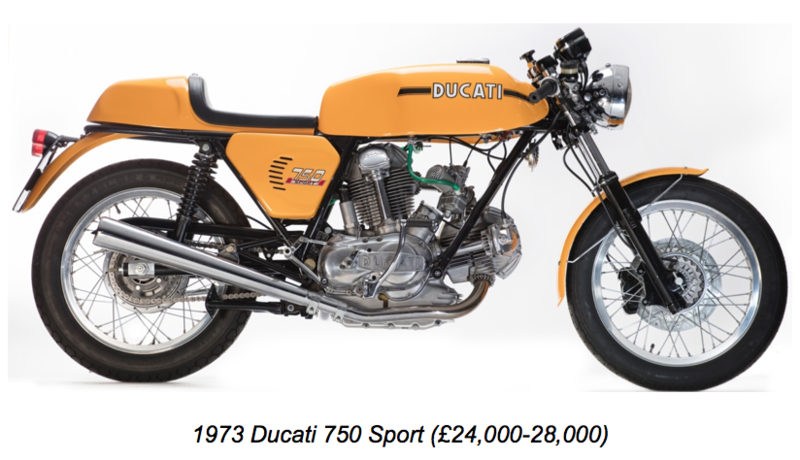 The collection includes a perfectly presented 1973 MV Agusta 750S estimated to fetch £60,000–90,000 (pictured above). If a 750S wasn’t rare enough on its own, the collection includes an equally awesome 1976 MV Agusta 789cc 750S America (£50,000-70,000), which produced a solid 75bhp, enough to propel the Italian sportster to a top speed of approximately 135mph. This example is signed by four legends who are inextricably linked to the MV name; the late John Surtees, Giacomo Agostini, Phil Read and Arturo Magni. Rival marque Ducati plays an equally important role within the collection including a 1973 Ducati 750 Sport (£24,000-28,000), a true landmark machine and rightly one of the most sought-after of all Ducati. Only 1625 were ever made, and a smaller number still reached the UK market. This iconic twin-cylinder ‘café racer’ is an early example presented in beautiful condition. The sale includes more than 200 collector motorcycles and about 90 lots of motorcycle spares and memorabilia. One of the most evocative names in motorcycling is that of Brough Superior. George Brough famously added the crucial ingredient of style to his father’s recipe for innovative and reliable machines when creating his rival company, and this machine is a fine and interesting example. The 1930 Brough Superior OHV 680 Black Alpine (£100,000-140,000) was so named as a reference to the lavishly equipped SS100 Alpine Grand Sports and its distinctive all-black eggshell finish. The history of this marvelous example is known from new, and it has been cherished and well used by its former owners including European tours, classic rallies and even television appearances – ‘JO 1134’ starred in The Big Breakfast alongside Wallace and Gromit in 1996. A matching numbers machine, the motorcycle is presented in fantastic age related condition and with a substantial history file. 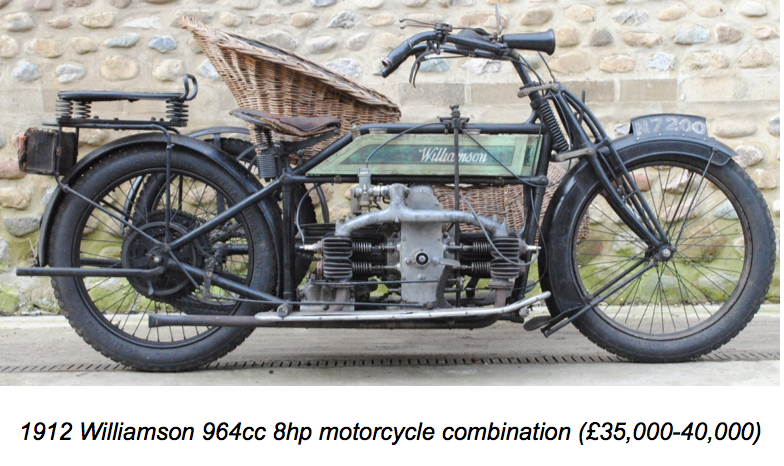 A lesser-known marque but equally as charming is the 1912 Williamson 964cc 8hp motorcycle combination (£35,000-40,000) offered with an incredible patina. A heavyweight air-cooled example, it was designed to do business and is a rare survivor of the Coventry based make. It is believed that these air-cooled machines were primarily used for racing, and this example is a regular participant in the London-Brighton Pioneer Run. Formerly part of the Potter Collection, noteworthy features of the machine include a Brooks saddle, Bosch magneto and Binks carburretor. On the heavyweight theme, the Harley-Davidson EL overhead-valve v-twin – known as the ‘knucklehead’ due to its distinctively shaped rocker boxes- is one of the most striking and easily recognizable motorcycle engines of all time. Far from just a pretty face, the EL performed well too, with Joe Petrail setting a new speed record of 136mph at Daytona beach in 1937. This restored Harley-Davidson 61ci ‘Knucklehead’ (£30,000-35,000) dates from 1942, a time when the Milwaukee factory was increasingly concerned with the production of military models, making this example rare and a true collector piece. Until the late 1950s, nearly every major UK manufacturer fielded a works team, under the pretence that their riders were winning competitions on regular, unmodified bikes. This was far from true, with factory machines being tuned to be much lighter and peppier – until Ariel came along. 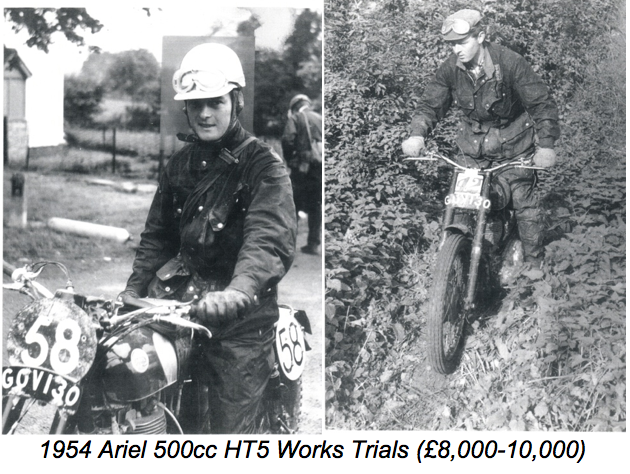 To their enormous credit, they created their new HT5, a machine on which riders could genuinely win awards without having to resort to modification. This 1954 Ariel 500cc HT5 trials machine (£8,000-10,000) has received a considerable amount of mechanical attention and represents an opportunity to own a significant and evocative component of Britain’s post-war trial scene.